Delivery & pick-up are quoted at time of contract and based on loaded miles. Current mileage rate: $2.15 per loaded mile. Tracked 6×6 personnel & equipment carrier capable of transporting up to 6 passengers or of 1,600 lbs. The unit is equipped with a 44 HP Kubota diesel engine and has a land speed of 15 mph. This unit is fully amphibious and is propelled in the water by twin propellers to speeds of 4 mph (depending on load and conditions). 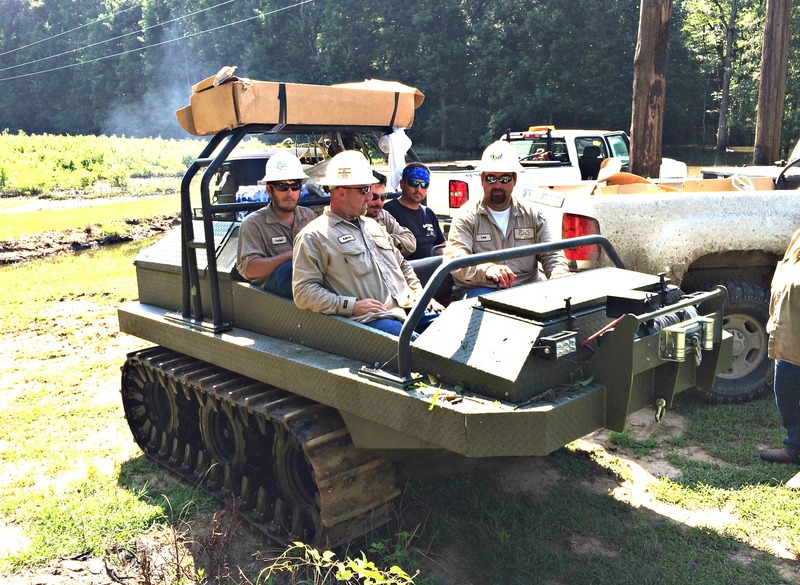 The tracked unit is ideal for swamps, bogs, and environmentally sensitive areas requiring lower ground pressure. Tracked 8×8 personnel & equipment carrier capable of transporting up to 9 passengers or 3,000 lbs. The unit is equipped with a Kubota diesel engine and has a land speed of 15 mph. This unit is fully amphibious and is propelled in the water by twin propellers to speeds of 3 MPH (depending on load and conditions). The tracked unit is ideal for the worst swamps and bogs. This is our lowest ground pressure unit and is capable of traversing the most severe conditions. The D2488B is equipped with a utility bed to allow more cargo carrying capabilities or additional personnel. 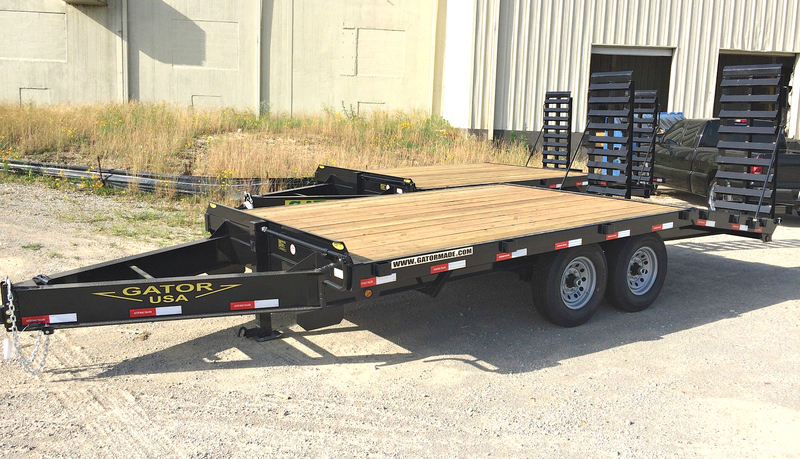 Specialty designed trailers that allow easy movement from job site to job site and equipped with strategic hold downs and wheel chocks for increased safety.